Looking to Hire a Magician in Crawley? 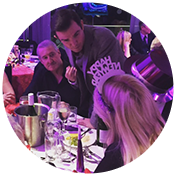 For over fifteen years mind reader and magician Edward Crawford has been amazing audiences in Crawley, and throughout the UK, with his own style of jaw dropping psychological illusion, and impressive mind reading abilities. Edward has a performance to suit any type of function, from corporate events, balls, banquets, weddings, and private parties. He can offer his close up performance, which consists of magic performed for guests sat at tables, or performed one on one and in small groups as he walks around, and mingles with your guests. His parlour show serves as perfect intimate after dinner performance. And of course there is his cabaret show, which is ideal for bigger events. Edward combines psychology, misdirection and sleight of hand to create a grown up, contemporary style of magic that will charm and amaze even the skeptics in the audience. Edward will astound you as he reads minds, predicts the future, and moves things with just the power of his mind. 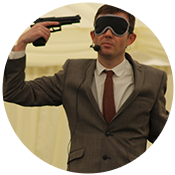 A few the incredible feats Edward uses in his performances include, driving blindfolded, predicting the headlines of national newspapers weeks before they come out, replicating the drawings made by someone in another room, and playing Russian Roulette! 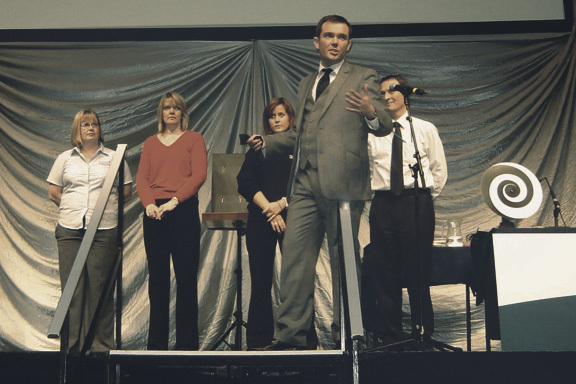 Whatever your event Crawley magician Edward Crawford has a performance that is right for you. Edward will tailor his performance to suit your event and your individual needs. You can rest assured that Edward’s act will make your event truly memorable, and leave your guests stunned and thoroughly entertained. If you would like to book him for your event in Crawley simply fill in the enquiry form below. 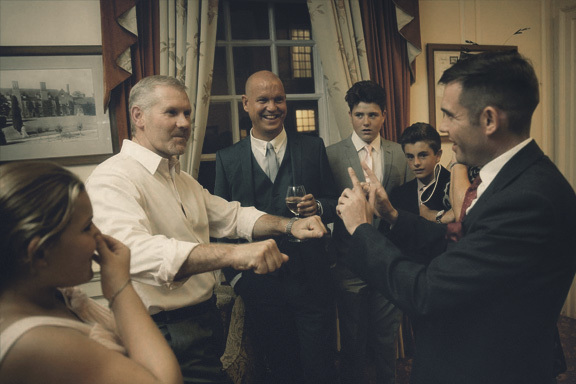 Whether you require a Crawley Magician for close up performance at a dinner or drinks reception, or a cabaret /stage show, Edward will tailor his act to suit your event. The guests were so impressed with your entertainment, especially the key bending. Edward performs at hundreds of events every year, and has a performance to suit every type of event. You can find a brief summary of the performances Edward offers, and the types of events he performs at, below. For more information please see the services page, or contact Edward himself on 07814 135569 or email info@www.edwardcrawford.co.uk. 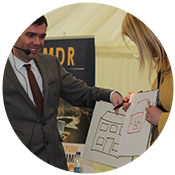 Edward works as a full time magician, and due to his extensive experience, he will be able advise you on the right performance for you, based on your requirements. If you’re looking for a close up, or table magician in Crawley, Edward’s close up act is the one for you. This performance is absolutely perfect for corporate dinners, private parties, weddings, and all formal and informal events. 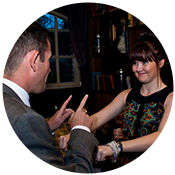 Edward will mingle with your guests wowing them with his extraordinary abilities close up. Your guests will get to see Edward read minds, predict the future, and display mind boggling powers of telekinesis, and much much more! 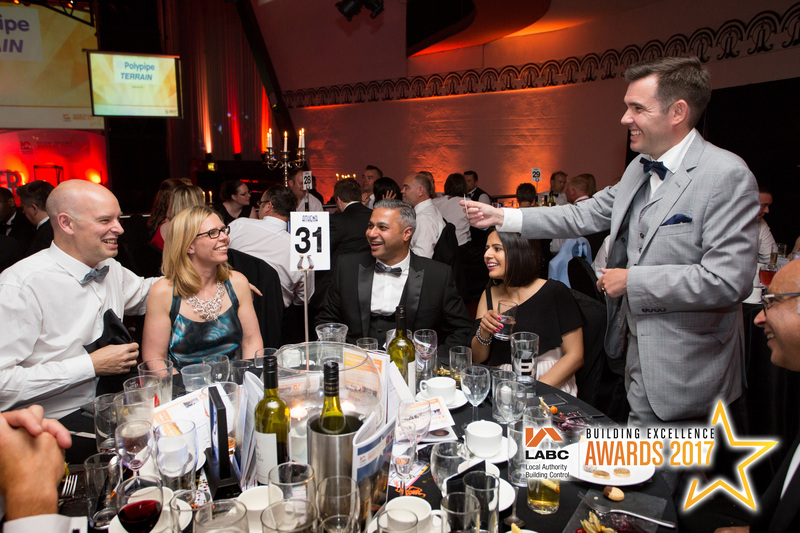 Edward performs his close up act in Crawley at all kinds of different events, including corporate events, trade shows, private parties, weddings, banquets and balls. 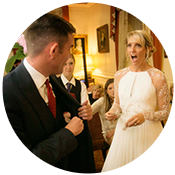 If you are considering hiring a close up magician in Crawley contact Edward and he’ll ensure your event is truly spectacular. 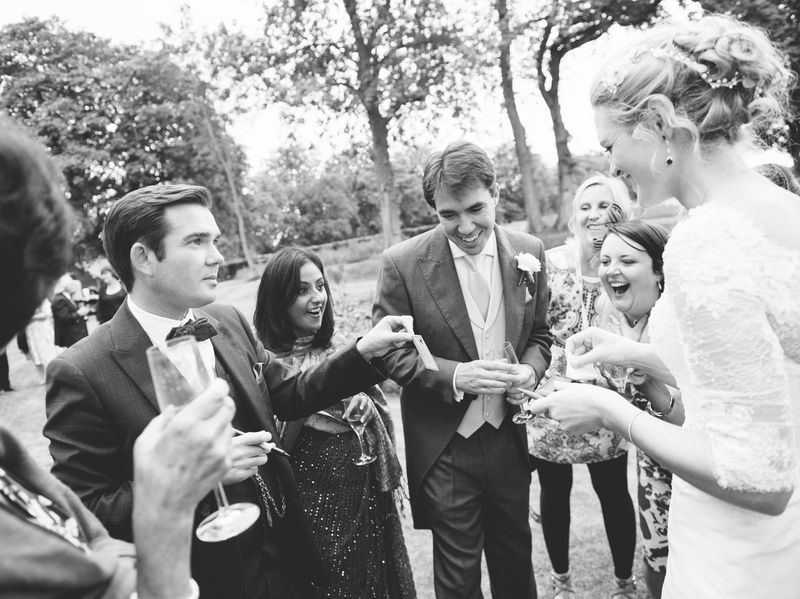 Edward has performed as a Crawley wedding magician for over fifteen years, and knows just how to make your day even more magical. Whether you would like simply to entertain your guests before the reception or other quiet times of the day, during or after your meal, Edward will tailor his act to suit your needs. With a perfect blend of humour and mind boggling feats, Edward’s performance is perfect for any style of wedding. 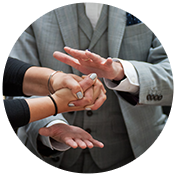 If you’re thinking about hiring a wedding magician in Crawley, go to wedding magician for more details or contact Edward to discuss your requirements. 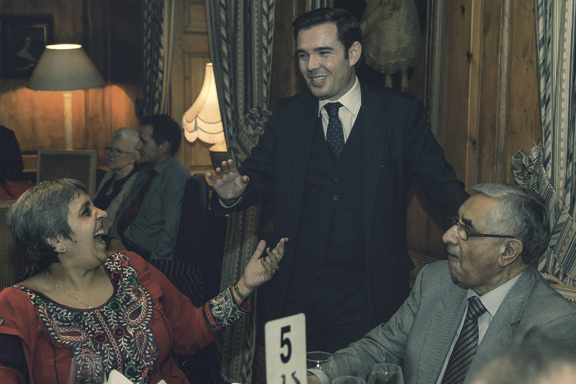 For formal dinners, Christmas parties, balls, weddings, banquets, and private parties, Edward’s Crawley table magic is the ideal entertainment. All guests will get to see and experience Edward’s unique style of psychological illusion, with a guaranteed five to ten minute individual performance for each table at your event. Edward’s act is the ideal entertainment for all types of corporate events in Crawley, including team building days, tradeshows, company parties, company drinks reception, mergers, Christmas parties, and banquets. Edward’s unique blend of psychological illusion and contemporary magic creates the most spectacular and memorable show that you will ever see. 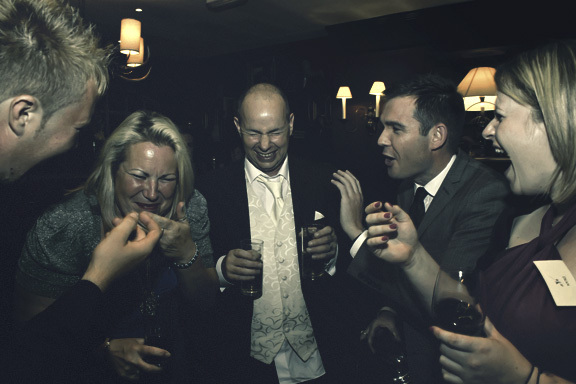 Christmas parties, whether private or corporate, are the perfect time to hire a magician. Edward has performed as a Christmas party magician in Crawley for over 15 years, and is so sought after he can be booked years in advance! Edward has a performance to suit every Christmas party. From mingling with your guests at a drinks party, performing at each table at a sit down dinner, or performing an after dinner show, Edward will tailor his act to meet your needs. December through to January is Edward’s busiest time of year, so please ensure you book well in advance to avoid disappointment. Edward uses the Victorian term “Parlour show” to describe his unique act that combines his close up performance and his stage show, that is perfect for dinner parties whether corporate or private. This performance is suited for audiences between five and fifty guests, and lasts between thirty minutes up to an hour. This act allows you and your guests to see a truly extraordinary show in a smaller venue. Your guests will not just witness but participate in spectacular demonstrations of mind reading, telekinesis, and psychological illusions!